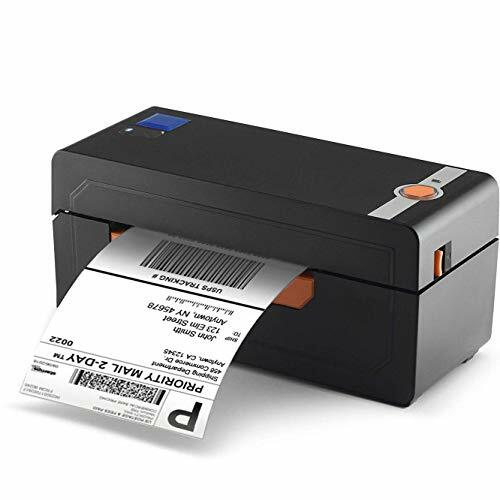 Do you want to print your labels on any direct thermal label you prefer without using ink or toner in record speed time You can accomplish all of that with the InstaShip Label Printer sitting in your office. You can save money on label costs since you will no longer need to purchase expensive proprietary labels. This printer conveniently works with any thermal direct label, so you can efficiently use any brand. While you don’t need to buy overpriced, printer-specific labels, you should avoid using poor quality paper which can reduce the life of the printer. Advanced Thermal Direct technology doesn't require toner or ink cartridges, saving you even more money throughout the year. InstaShip uses the latest printing technology to utilize direct thermal, printing your high-quality bar codes and shipping labels without using any ink! First-time users will be amazed at how a compact piece of equipment can print so fast. Boasting a blazing speed of 150mm per seconds, you can boost your productivity like never before. When using a 4-row label format, the InstaShip prints up to 238 labels per minute! Engineered to be easy and hassle-free, this printer is simple to set up. Connect the power line and USB cable, then turn the printer on and install the drivers. Once downloaded, open the file and select setup, then follow the prompts. The printer is already preset for courier size labels, but can be changed in the printer preferences to suit your needs. The commercial-grade printer is compatible with all shipping couriers and marketplaces, delivering crystal clear labels with the same high-quality output that major couriers require. Combining easy operation and fast, reliable printing, you can let the InstaShip handle your labels while you focus on more important tasks at hand.